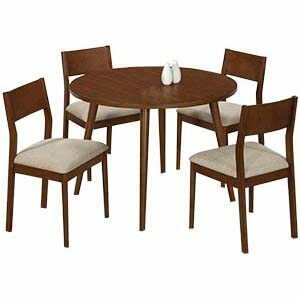 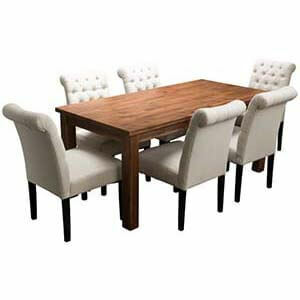 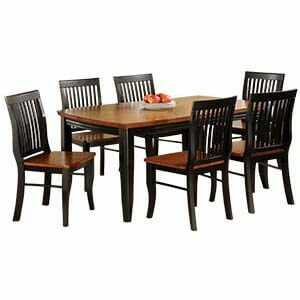 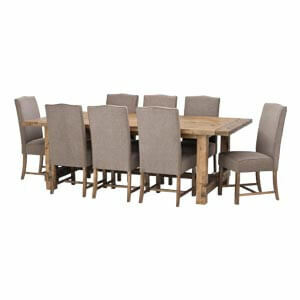 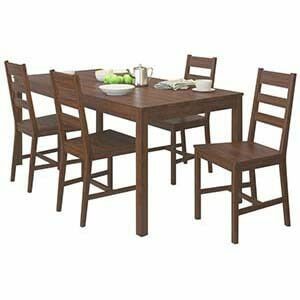 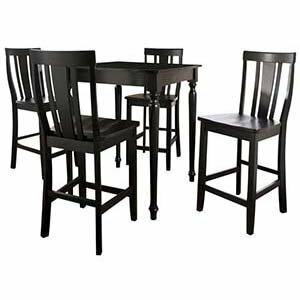 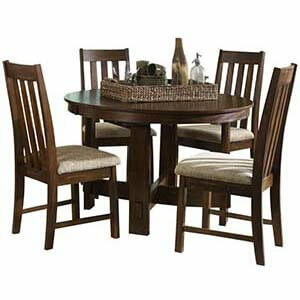 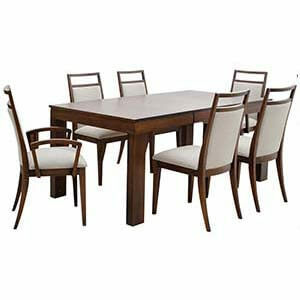 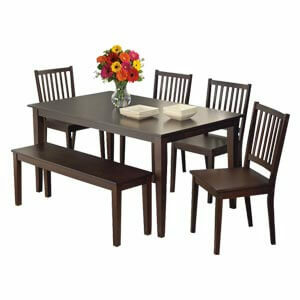 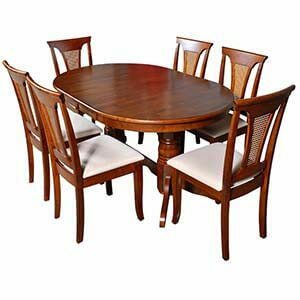 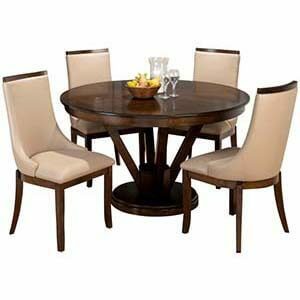 A transitional handcrafted four seater dining set made for your comfortable dining spaces. 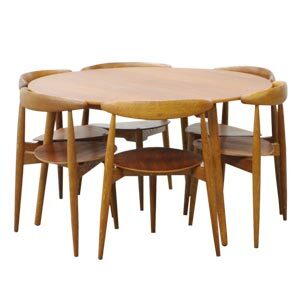 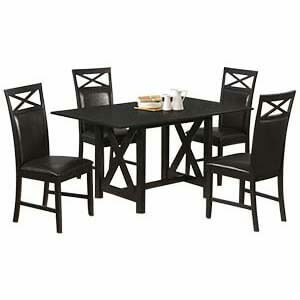 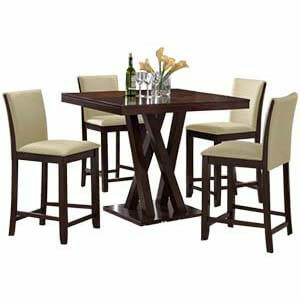 The table comes with sturdy legs that supports the spacious top. 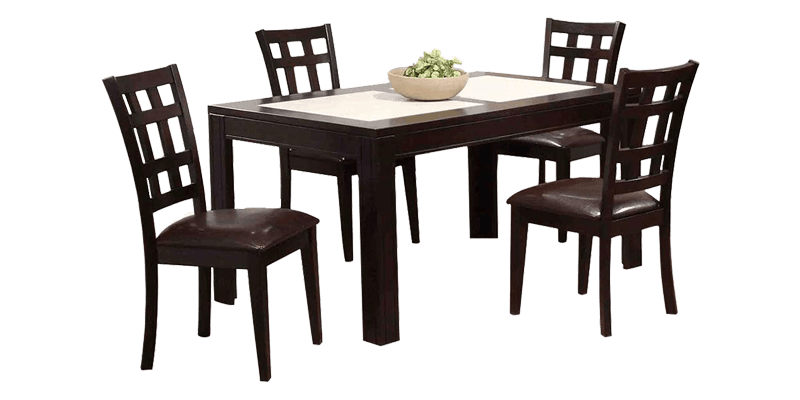 The chairs come with square patterned back and upholstered seats for a comfortable seating experience. 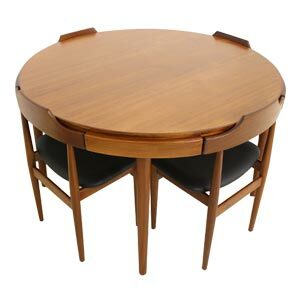 A slight curve at the back further lends style and ease.